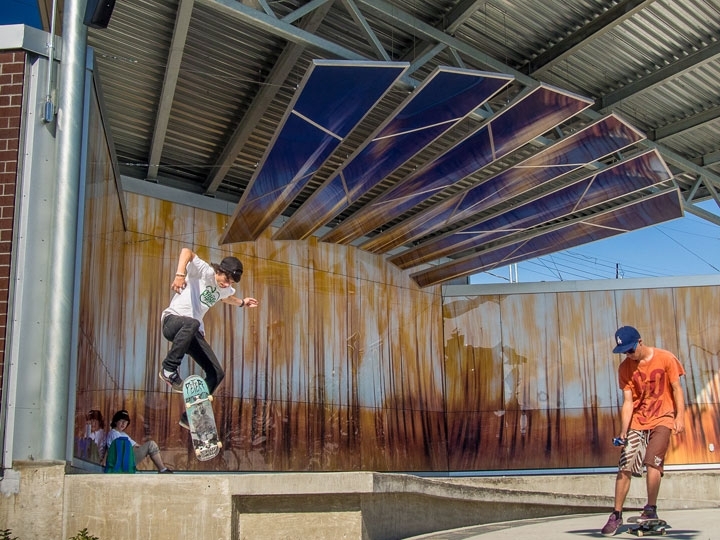 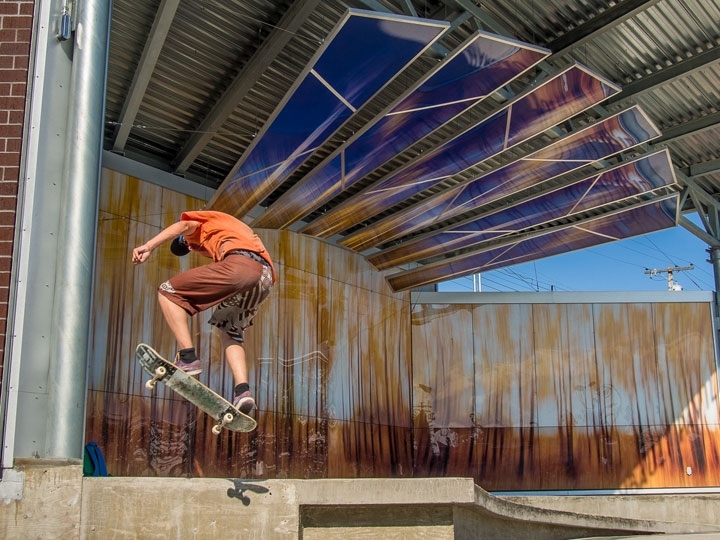 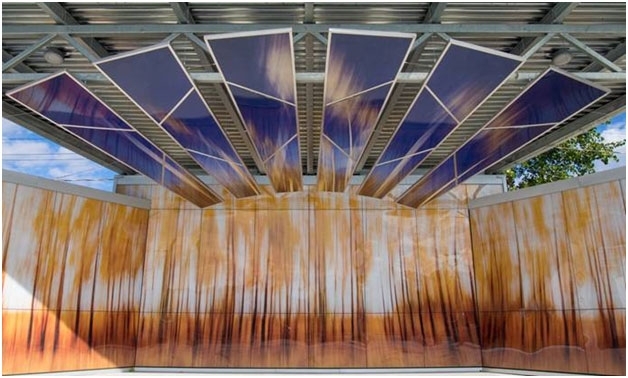 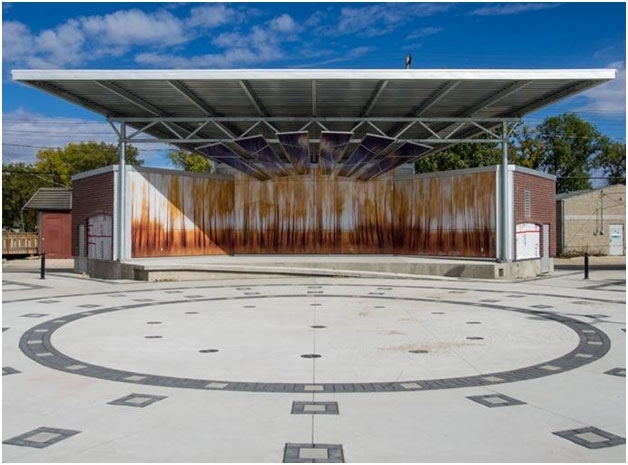 David Firman responded to a Call to Artists issued in June 2011 for an artist to work as part of the design team for a performance pavilion that would be a key feature of a new public square in Transcona. 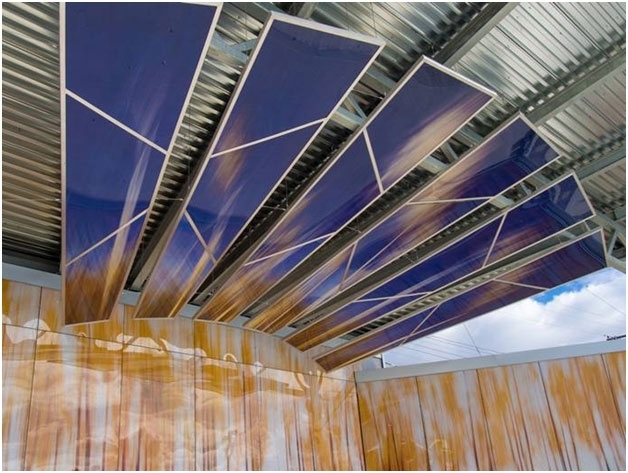 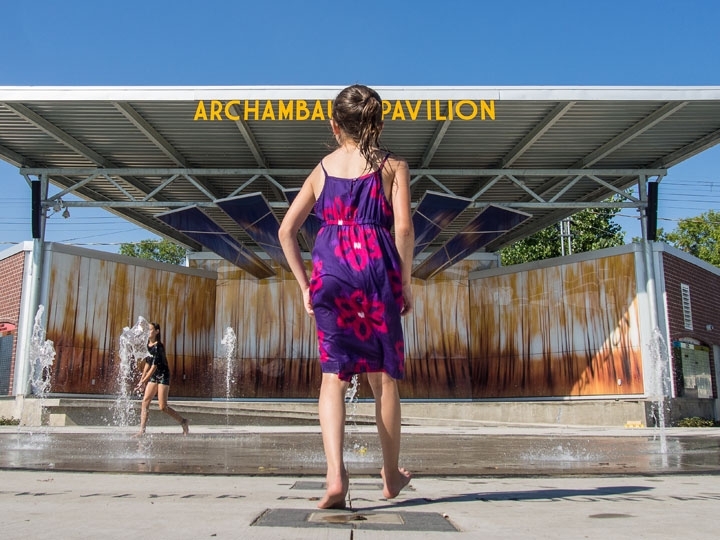 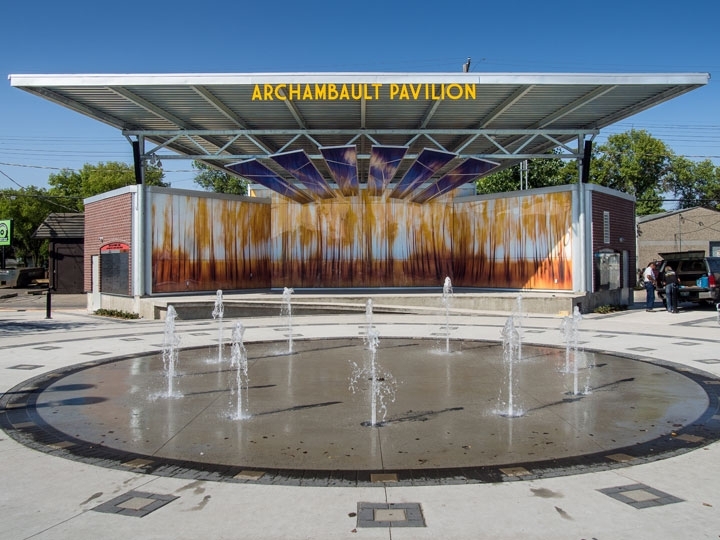 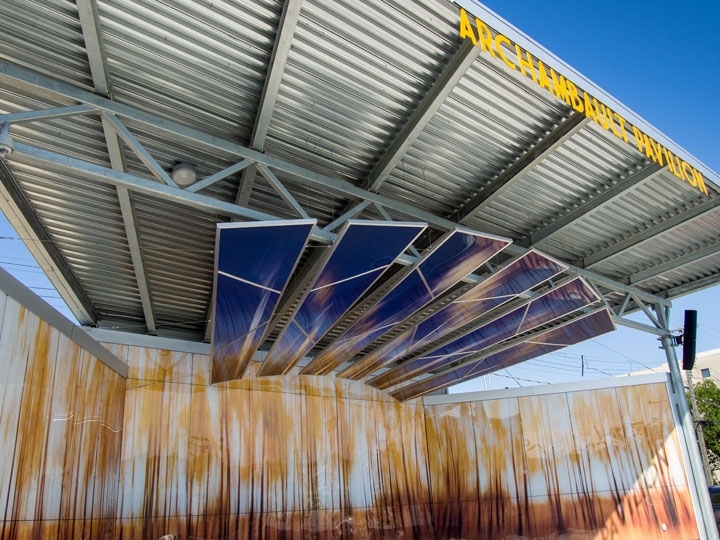 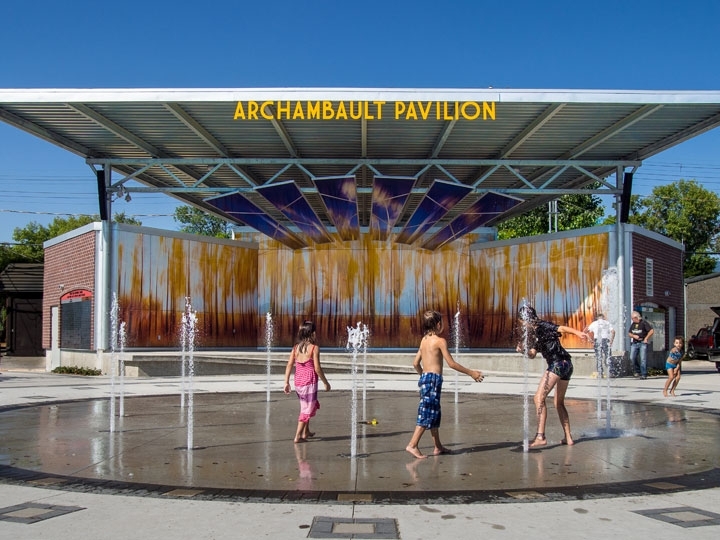 As the selected artist, David worked closely with designers, City of Winnipeg staff and the Transcona BIZ to create a conceptual design for a pavilion that would be visually striking as well as functional for a diversity of programming. 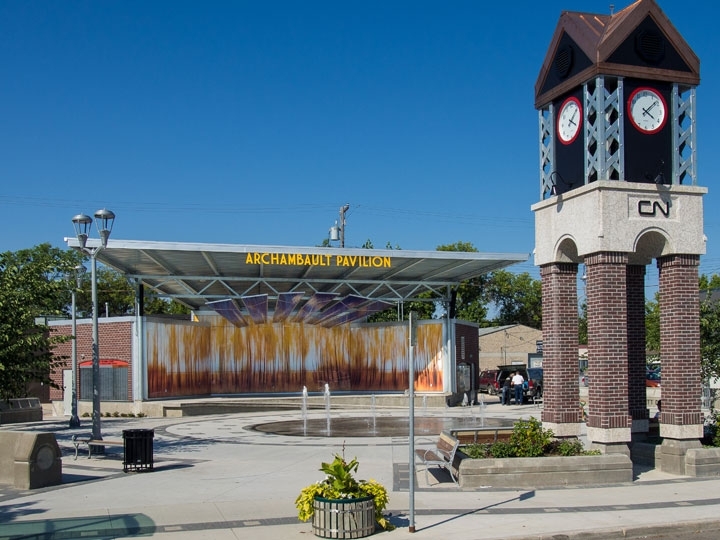 Originally established by the Grand Trunk Railway, the train remains an iconic image of Transcona. 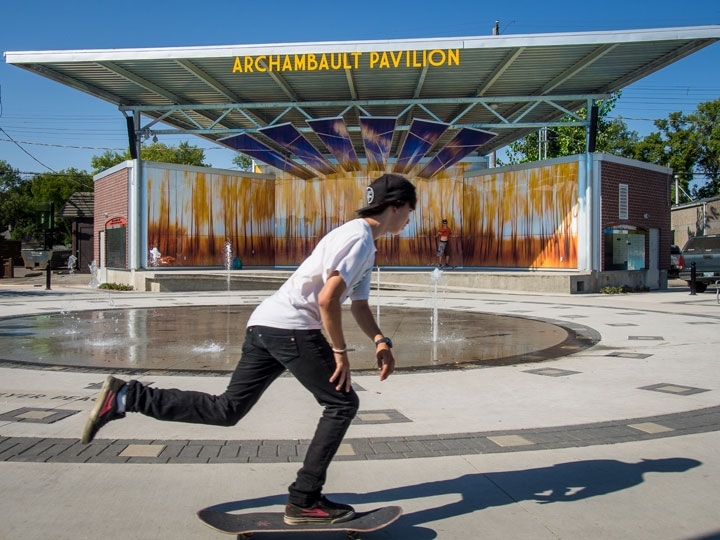 However, Transcona’s one hundred year history is a rich one and its slogan “The Park City” was officially adopted through a Council motion in the 1960s. 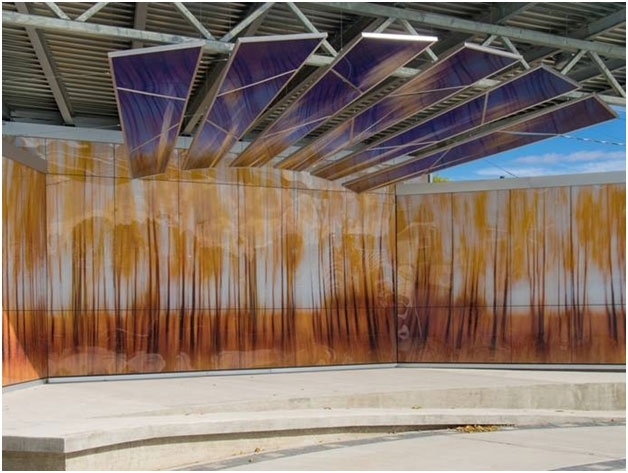 Celebrating this aspect of the community, David incorporated a series of photographs of plant life and sky taken at the Transcona Community Bioreserve into the pavilion design. 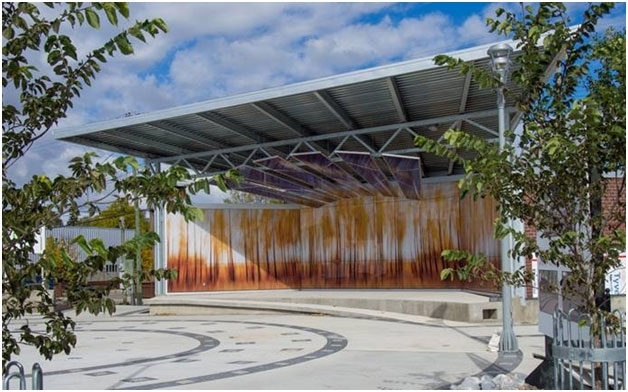 The pavilion and square officially opened to the public in fall 2013. 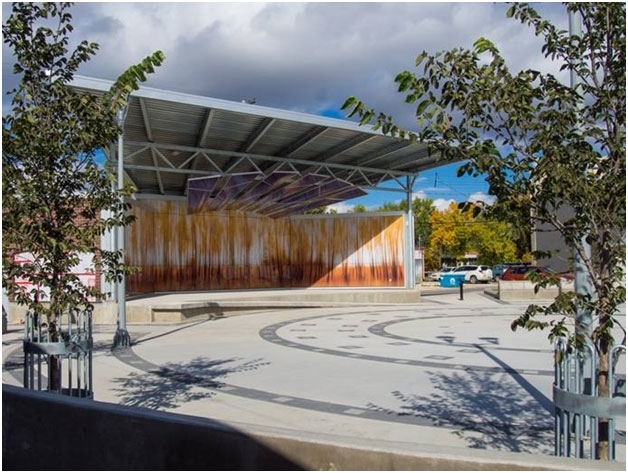 This project was a collaboration between the Transcona BIZ and the Winnipeg Arts Council. 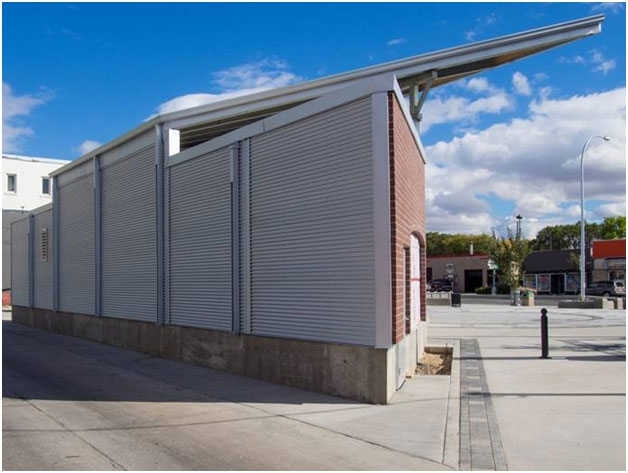 David Firman is a graduate of the University of Manitoba, Faculty of Architecture, receiving his Bachelor of Environmental Studies in 1974 and Masters of Architecture degree in 1980. 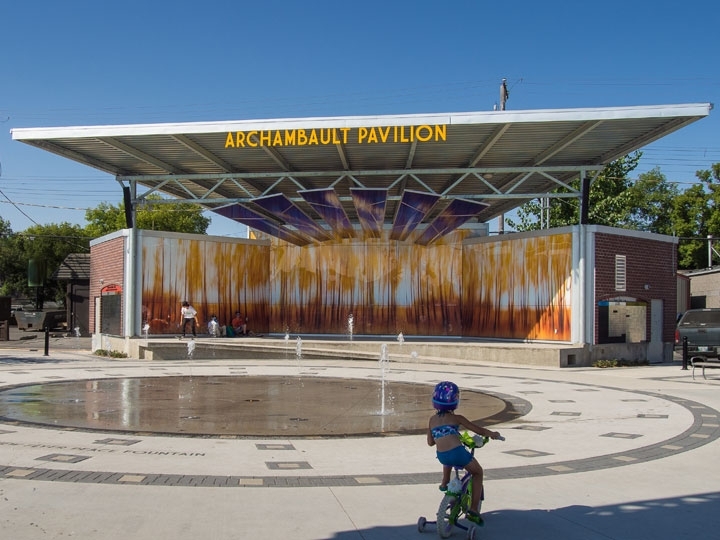 He was a registered architect in Manitoba between 1983-2011 and worked with the Historic Resources Branch, Province of Manitoba, 1980-2010, as an architect specializing in heritage building conservation. 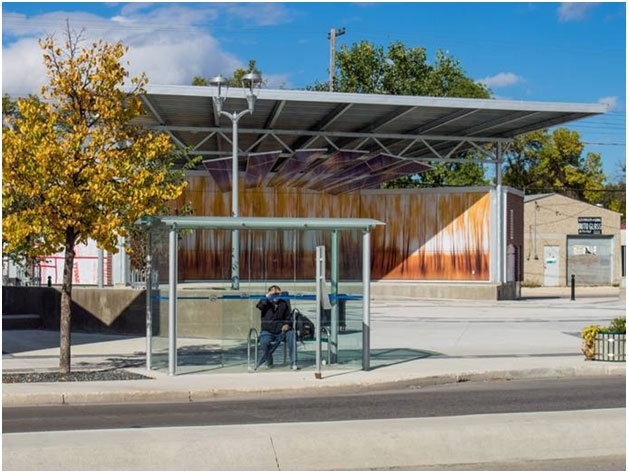 In September 2010, he retired from the Historic Resources Branch to concentrate full time on his photography and public art projects.